Should you be investing in PR? PR is a great way of increasing your brand awareness. It can be an extremely cost-effective form of marketing which you can use to reach niche audiences, plus it gives you third-party endorsement, which is far more powerful than an advert you have paid for or anything you put out on your own channels. But, it’s not easy to master. The first thing for a successful PR campaign is to identify where your audience is, which means working out which media outlets your potential customers are viewing, reading or listening to. A mistake many people make is just sending out their PR campaign to all the outlets they can think of, but there’s no point trying to get into The Guardian, for example, if you’re target audience isn’t reading it. More importantly, if your audience isn’t reading The Guardian, it’s very unlikely its journalists will be interested in your story; all you will do is damage your reputation with them so that when you do have a story that might genuinely be of interest to their readers, they won’t even bother opening your email. You need to think about your sector, your product or service, your audience’s age range and their interests. If you’re a local, family business, you don’t need to conquer all of the UK media: you’re most likely going to get return on investment from getting into your local papers or magazines or on your local radio station. If you sell fashion-based products, you’ll want to pitch to magazines that are in line with your brand image. If you’re a travel agency looking to broaden your client base, you need to research travel blogs. The more publications that are suited to your business needs, the more likely you’re going to see better results. Journalists are busy: they don’t take kindly to having their inboxes spammed by trivial press releases. So, not only does your product or service have to be relevant to their audience, you also have to have something new to say – it’s called ‘news’ for a reason! But a new product, service or milestone in your organisation’s history, doesn’t necessarily make for something that is newsworthy. You’ve been in business for 30 years – fantastic! But is that in itself of interest to a wide readership? Analyse the stories that your target outlets run to see if your story meets their benchmark or if there is something you can do to make it more interesting: can you get a celebrity to launch your new product at a gala event? can you tie your anniversary in with a charity campaign? If your story isn’t of wide interest and you send it to the journalists anyway, you will again just damage your brand reputation for when you do have something of note. 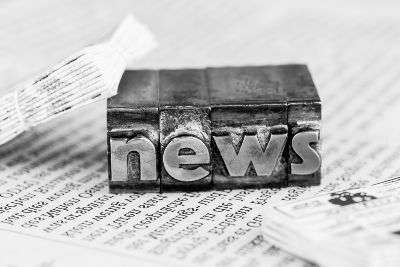 If you are sure you have something newsworthy and relevant to your target media, you need to create a press release that outlines it boldly. 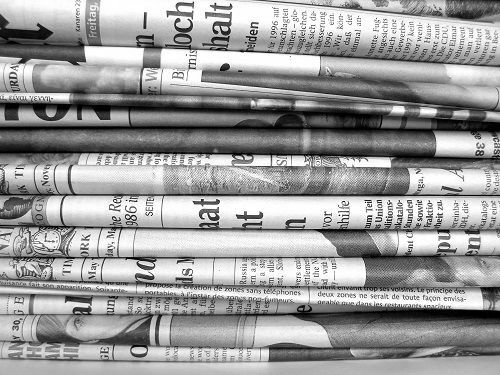 A compelling headline, email subject line and concise covering email are key, but so is a well-written press release; the easier it is for the journalist to understand and work with, the more likely you’ll be featured in their publication. An effective way of creating intrigue for the journalist is adding some images or video content to go with your PR campaign. One of the current trends in the media world is focused on visual content. It’s more appealing to the eye and it’s the first thing you see on a page. The more impressive the image or video, the more you’ll see positive results. It’s all well and good having a fantastic press release, but if the journalists don’t come across it, you’ll have wasted valuable time. Therefore, follow up calls are vital; nine times out of ten journalists won’t pick up your story first time round (they simply have too many emails to go through them all). You are likely to get a much better response if you take the time to call them individually to see if they are interested in your story; make sure you have prepared an ‘elevator pitch’ to sell your story verbally. PR can be a great way to get your service or product in front of your ideal customers, but even with the most expert management there are no guaranteed results. But if you get it right, journalists will know they can rely on you for great content to fill their pages or bulletins, enabling you to build up fantastic relationships with champions who have real leverage.